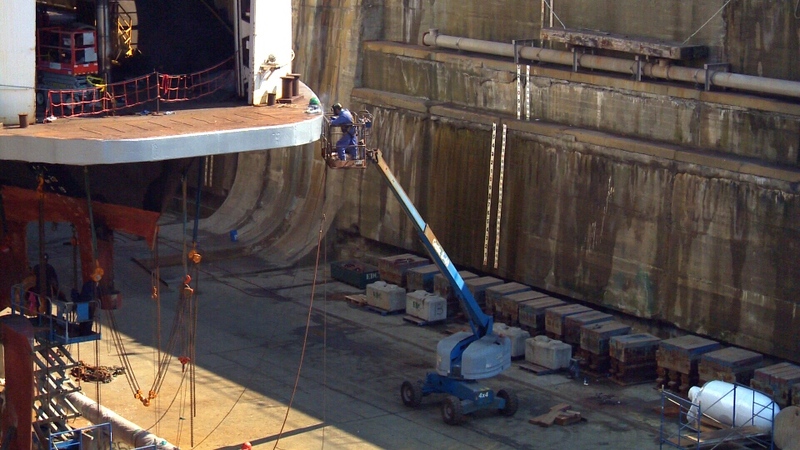 Up to 300 Seaspan employees have been laid off to make way for planned upgrades at a century-old dry dock, the company confirmed Thursday. In what it’s calling a “planned layoff that the union was well aware of,” the ship-building company terminated between 250 to 300 trade workers and office staff working at the Esquimalt Graving Dock on Wednesday. Seaspan told CTV News a large portion of the workers affected by the job cuts are expected to be hired back in the fall. But it said a number of electricians may not be asked to return. The layoffs coincide with the completion of a frigate life extension contract with the Department of National Defence. The last of the upgraded frigates were turned over in May, the company said. The cutbacks don’t impact hundreds of people working on a submarine program at the Esquimalt site, it said. The layoffs come the same day Seaspan announced a three-year, $2.9-million investment into trades training programs for Canada’s marine industry. Part of the money will support aboriginal students studying trades at BCIT, female students at Camosun College and the Canadian Welding Association. A welder performs work on a BC Ferries vessel at the Esquimalt Graving Dock in this undated file photo.